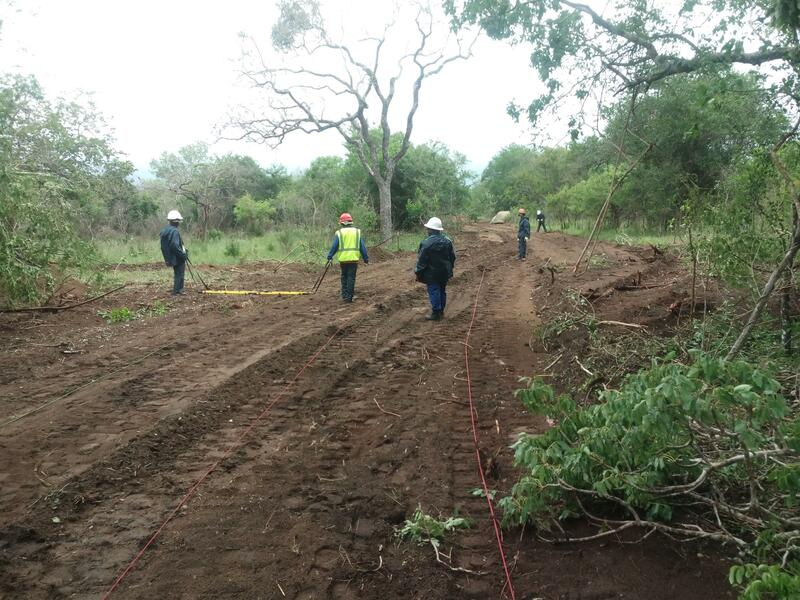 SafeLane Global undertook bush clearing and demining operations in Temane, Inhassorro, Mozambique. Using Ebinger large loops UPEX 740 M, CIEA metal detectors MIL-D1 and Schonstedt magnetometers GA-52Cx, the project progressed successfully. SafeLane Global employed an experienced and qualified team of 25 staff and contracted 24 local staff who were trained for area clearance and in the use of specific search equipment. The terrain was a mixture of open areas, scrub and dense bush areas, the work included and was supported by D8 Bulldozer, excavators and supported by 7 tonne flatbed trucks and SUV vehicles. The successful outcome was full bush and explosive remnants of war clearance and return to the client before the deadline and under budget.